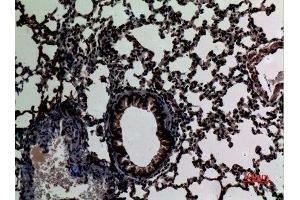 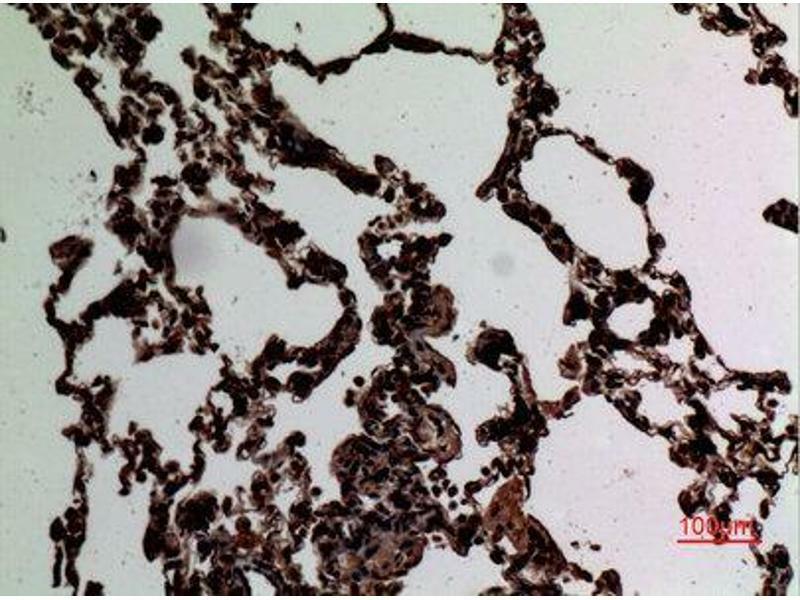 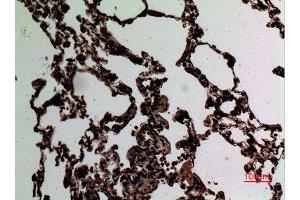 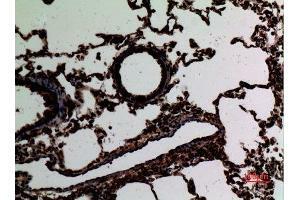 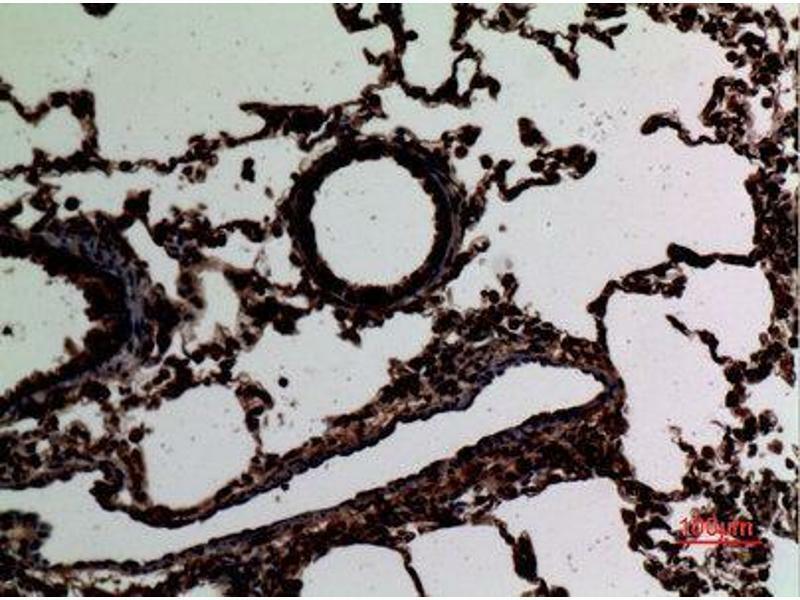 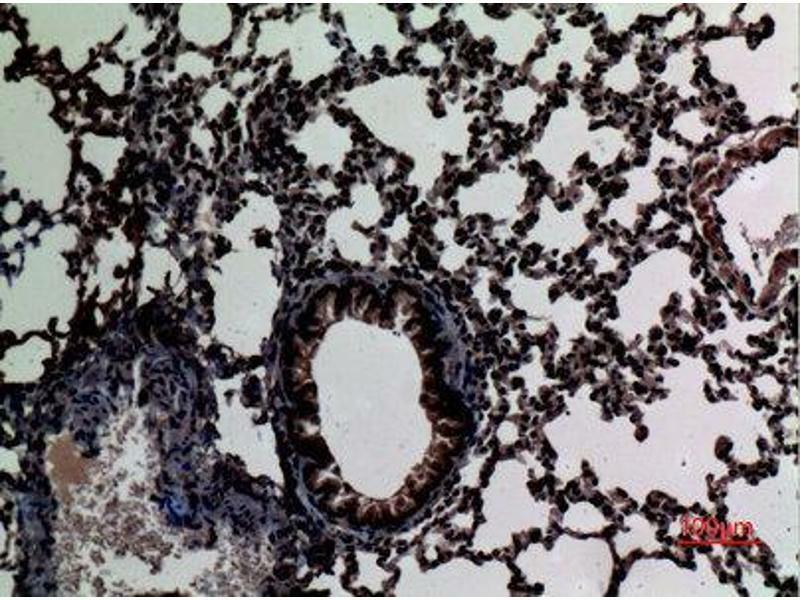 Immunohistochemistry (IHC) analysis of paraffin-embedded Rat Lung, antibody was diluted at 1:100. 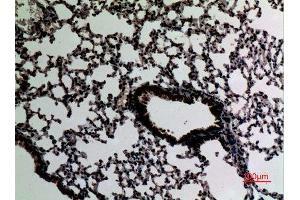 Immunohistochemistry (IHC) analysis of paraffin-embedded Mouse Lung, antibody was diluted at 1:100. 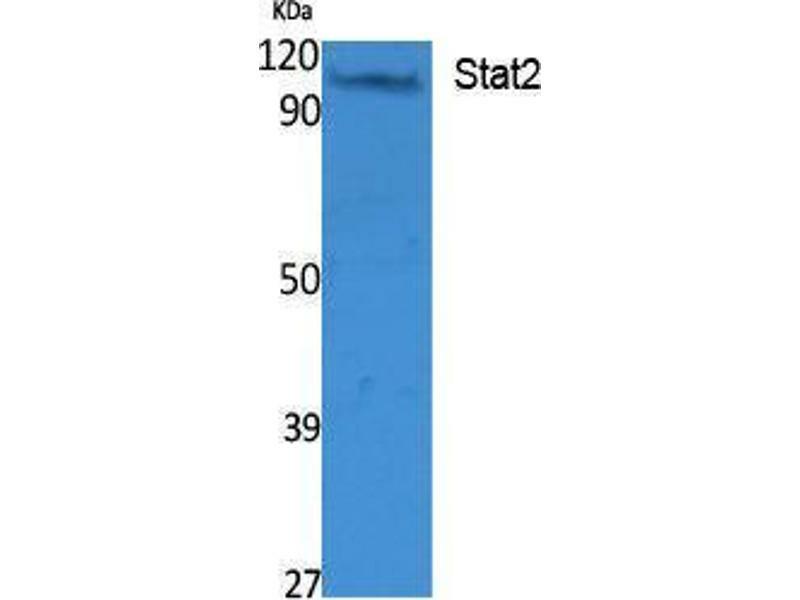 Spezifität Stat2 Polyclonal Antibody detects endogenous levels of Stat2 protein. 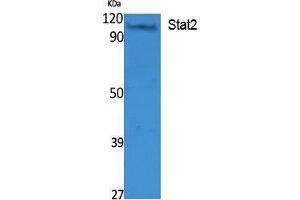 Produktmerkmale Rabbit Polyclonal to Stat2. 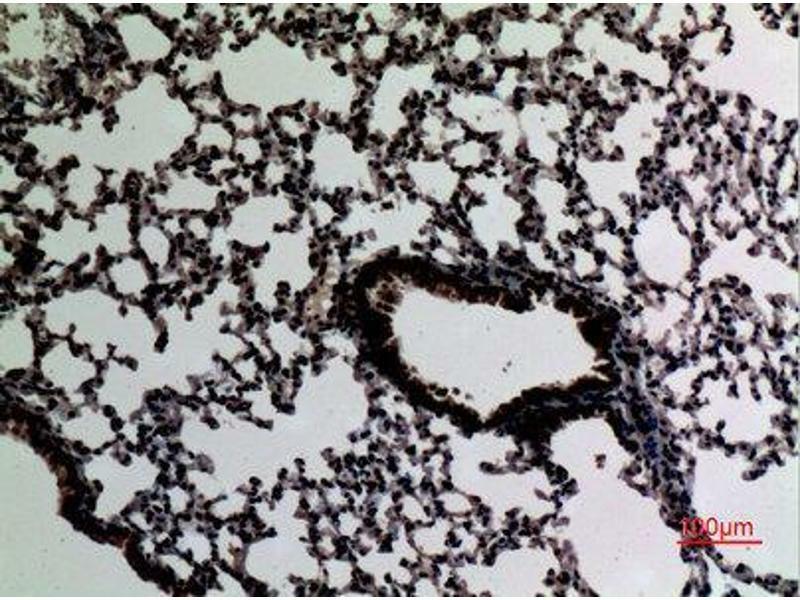 Immunogen Synthesized peptide derived from human Stat2 around the non-phosphorylation site of Y631.